Just completed another solo on Librivox, in English – after again several months of lack of recording. 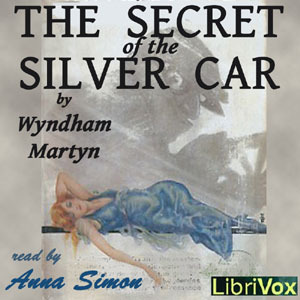 “The secret of the silver car” is an adventure story – hero is Anthony Trent. 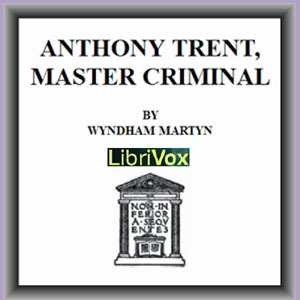 Before he went to join the Armed Forces in World War I France, Anthony Trent had a successfull secret ‘career’ as a master criminal in the USA, never caught by the police (see ‘Anthony Trent, Master Criminal’). The war has just ended – but now Anthony Trent seriously fears exposure. While in the trenches, an explosion buried him alive, along with an English soldier. Thinking they would never get out alive, Anthony revealed his identity to the other soldier – just before they were rescued and separated. After recovering from his injuries, all Anthony can think about is finding the English soldier – to thank him for saving his life, but also to know whether the man will betray his big secret. His search is full of adventures, including espionage, blackmail and love. And actually, I recorded the first ‘Anthony Trent’ book last year, and forgot to post it here. In 1918, Anthony Trent, a well-educated young man in his late twenties, lives an unsatisfactory life in a New York boarding house. He writes successful crime fiction stories, but this doesn’t pay enough for him to do the things he wants. Things change when he starts to put his knowledge of crime to a practical use… It gets him into serious trouble before long. (The download counter for this work at Archive.org after 8 months is already at over 30,000 – unexpectedly high, not sure why – it’s a fun, light-hearted book, but it was pretty obscure to me). Many thanks to Laura for proof-listening, and to Annise for making the covers!